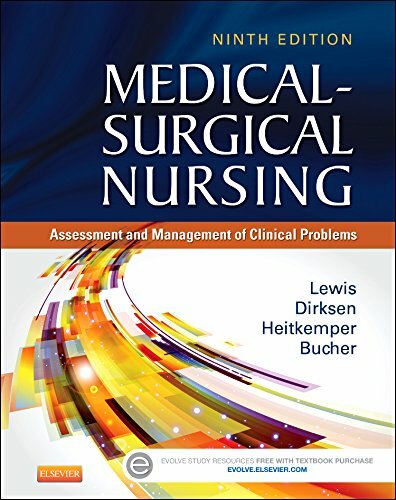 Over the past three decades, more and more nursing educators have turned to Lewis: Medical-Surgical Nursing for its accurate and up-to-date coverage of the latest trends, hot topics, and clinical developments in the field of medical-surgical nursing - and the new ninth edition is no exception! 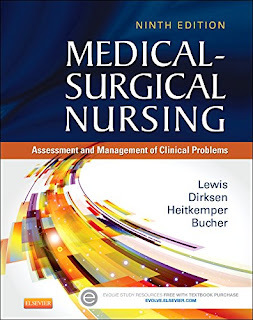 Written by a dedicated team of expert authors led by Sharon Lewis, Medical-Surgical Nursing, 9th Edition offers the same easy-to-read style that students have come to love, along with the timely and thoroughly accurate content that educators have come to trust. Completely revised and updated content explores patient care in various clinical settings and focuses on key topics such as prioritization, critical thinking, patient safety, and NCLEX® exam preparation. Best of all - a complete collection of interactive student resources creates a more engaging learning environment to prepare you for clinical practice. Highly readable format gives you a strong foundation in medical-surgical nursing.Content written and reviewed by leading experts in the field ensures that the information is comprehensive, current, and clinically accurate.Bridge to NCLEX Examination review questions at the end of each chapter reinforce key content while helping you prepare for the NCLEX examination with both standard and alternate item format questions.UNIQUE! "Levels of Care" approach explains how nursing care varies for different levels of health and illness.More than 50 comprehensive nursing care plans in the book and online incorporate NIC, NOC, and current NANDA diagnoses, defining characteristics, expected outcomes, specific nursing interventions with rationales, evaluation criteria, and collaborative problems. Over 800 full-color illustrations and photographs clearly demonstrate disease processes and related anatomy and physiology. NEW! Unfolding case studies included throughout each assessment chapter help you apply important concepts and procedures to real-life patient care. NEW! Managing Multiple Patients case studies at the end of each section give you practice applying your knowledge of various disorders and help you prioritize and delegate patient care.NEW! Informatics boxes discuss how technology is used by nurses and patients in health care settings.NEW! Expanded coverage of evidence-based practice helps you understand how to apply the latest research to real-life patient care.NEW! Expanded Safety Alerts throughout the book cover surveillance for high-risk situations.NEW! Separate chapter on genetics expands on this key topic that impacts nearly every condition with a focus on the practical application to nursing care of patients.NEW! Expanded coverage of delegation includes additional Delegation Decisions boxes covering issues such as hypertension and postoperative patient care.NEW! Genetic Risk Alerts and Genetic Link headings highlight specific genetic issues related to body system assessments and disorders.NEW! Revised art program enhances the book’s visual appeal and lends a more contemporary look throughout.